The "Indoor Soccer for Kids in Pitman" program is open to the general public for kids ages 21/2 through 5 year olds that live near Pitman, NJ. Kids from nearby towns are welcome. It's not limited to Pitman residents. It's a great opportunity for your child to participate in soccer during the cold winter months in South Jersey. 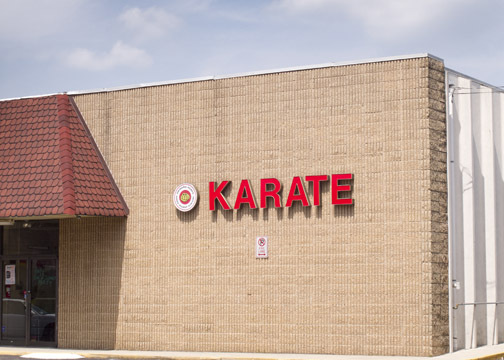 Offered inside the heated environment of the Okinawa Kenpo Karate Academy in Pitman NJ, your child can play fun imaginative soccer games with other children. The lessons will teach your child soccer skills and life lessons like teamwork and fair play. Your son or daughter will make new friends and learn how to play within a group. Click here for more information. It's easy to get to and there's always plenty of parking. is a great facility for indoor soccer for New Jersey kids. 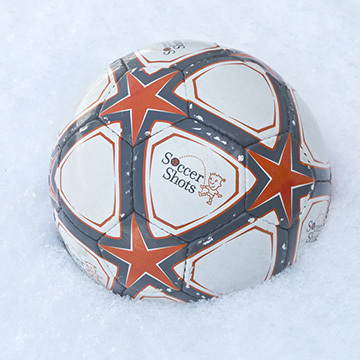 Soccer Shots-South Jersey is happy to announce that we have soccer locations for young kids in and around the Pitman, Mullica Hill, Woodbury, Williamstown and Swedesboro areas in Gloucester County, New Jersey. The Pitman Indoor Soccer program is designed for 3, 4, 5 and 6 year olds. The soccer lessons were created by professional soccer players and coaches with the emphasis on fun and creative play activities. No special equipment is needed by your child to play in Pitman indoor soccer. There is even an area designated for parents to sit and watch. Introducing your child to the world's greatest game. Soccer Shots-South Jersey is offered to the general public in some locations as well as to student at preschools and daycare centers who participate in our program. Our number 1 goal is to make sure your child is having a fun and safe time. Each session includes basic soccer skills, exclusive Soccer Shots games, and the use of imagination with fun physical activities. The kids learn life lessons through organized play. Indoor soccer for New Jersey kids can lead them on a lifelong path of exercise and fitness habits. Enroll your child in Pitman Indoor Soccer Today! It's not far at all. Here is the drive time for you if you want to have your child play indoor soccer with Soccer Shots in Pitman. If you live in Mullica Hill near 322 and 45 then you are only 12 minutes away by car. Woodbury and West Deptford residents take only about 15-19 minutes to drive to our facility. Parents that live in Mickleton or Mount Royal have a 13 minute drive to Soccer Shots in Pitman. People that live in Swedesboro, Logan and Woolwich Twp. in Gloucester County will drive about 23-27 minutes to get to the Indoor Soccer For kids in Pitman facility. If you're traveling from anywhere in Sewell or Turnersville in Washington Township, NJ, your drive time is less than 10 minutes. If you are near "downtown" Williamstown, you're about 17 minutes away. If you live in Sicklerville near the expressway entrance, then you are only 20 minutes away. From the intersection of Academy streets and Delsea Drive, Clayton residents have just a 15 minute drive to the soccer facility located near the historical small town of Pitman. Franklinville residents who want their child to participate in indoor soccer have little bit farther to travel, coming in around a 17 minute drive. Parents from Mantua, New Jersey have less than a 10 minute ride for their child to play indoor soccer.